In this section is presented pictures and descriptions of the appearance of common diseases and conditions which may affect Tilapia. By taking a sample from your fish and comparing what you see under a microscope with the pictures presented here, you may diagnose the cause of any symptoms you observe. 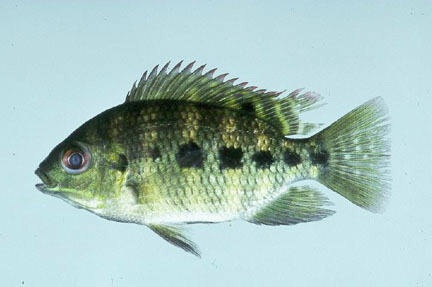 Select the area affected or click on the picture of the tilapia below. click on the picture of the tilapia in the area where the sample was taken.